Mh. What to say. It was good, don’t get me wrong. The precision of the dancers was amazing, their stamina made me breathless, for sure. The costumes were sufficiently sparkly (and I would KILL for that flimsy black see through coat Cynthia Dale as Dorothy Brock wore in one scene). What made Singin’ in the Rain so absolutely adorably marvellous – its staying true to the movie-original – does not work with 42nd street. I kept having flashbacks to both Fred Astaire and Ginger Rogers as well as Gene Kelly who I think did a version of lullaby of broadway in a way that is still unprecedented. It’s not that the actors weren’t good – they were and they gave their all. But the story of the underdog winning everyone’s heart and making it big on Broadway despite the odds just didn’t ring true. Too many skimpy outfits (Zigfield girls anyone?) and not enough real acting made for a fun evening that even got a standing ovation at last. Or was it that the audience was just eager to get out of only a half full theatre? No, now I’m being mean. But I had heard so many good things about this show and felt all I was getting was a series of great dance numbers that were strung together a bit disjointedly. Certainly not something I’d want to watch again. 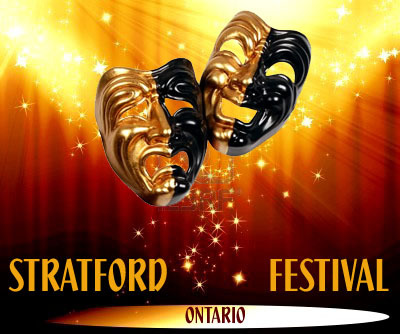 This entry was posted in Stratford Festival Ontario, theatre. Bookmark the permalink.